Where in the world are Jase and PJ? 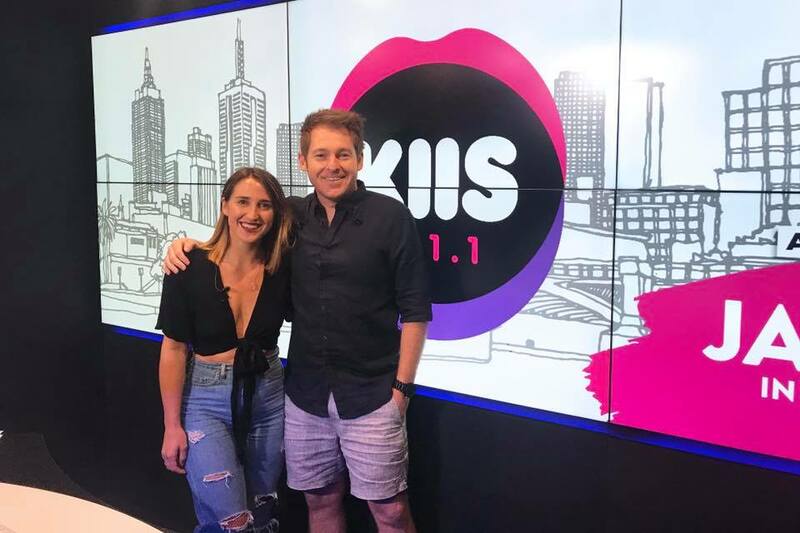 Just seven days after we reported that KIIS 101.1 Breakfast team Jase Hawkins and PJ Harding would also be heard across the KIIS Network in five capital cities, the highlights show appeared to be MIA when listeners tuned in at the designated time of 8pm. Listeners in Sydney who tuned in on Monday and Tuesday night were instead greeted by a music-based show hosted by KIIS 106.5 announcer Mitch Churi. You can hear the first break from Monday night below. ARN responded to Radio Today‘s enquiry stating that the pre-recorded show was “running late”. Meanwhile, we did manage to finally locate some Jase & PJ audio… at 8.19pm, when the “Little Liars” segment aired. What did become obvious to keen listeners over time was the lack of Jase & PJ content being played. Between 8.20pm and 8.55pm, there were just two segments from the Breakfast pair – compared to the seven songs and 11 ads/promos that were played. What a joke! Running Late? You are talking to radio people. Who are you kidding..? Its 2018… Its 11 hours after their show finishes and a handful of breaks. Spare us the spin ARN give us some credit. It’s very good content. I am shocked by the bitchy, negative comments. Oh! Sorry that’s the way radio has become now. Why are they running this at night anyway ? Not sure about other nights, but I had tuned in to KIIS 106.5 on Tuesday night and they were definitely ‘on air’ then. All other best of breakfast shows across all networks only run for an hour; I’m not surprised that these guys only have two segments in 30 minutes – how else can ARN stretch out what would be an hour of highlights across two hours! Does anyone know how the show plays out on ZM? There were a few Melbourne references on Tuesday’s show – do these also carry over across the ditch? I listen online to see how it plays out and occasionally a reference slips through. They do mention Melbourne occasionally and the editing of the bits they do play could do with a bit of work – Jase mentioned “KIIS” in one segment (easily edited out but it wasn’t). The show is on ZM for 2 hours and only 3 talk breaks an hour, sometimes only 2 talk breaks in the last hour. I like listening to the show and with some better editing it’s a decent way to spend two hours. Surely our of three hours per day they have enough to replay stretched over two hours. If they can’t, just make it 8-9 then. A real, live, late-night offering would be more appropriate, as their competition have live announcers and shows til midnight or 1am and it clearly works for them. Or, why does it just have to be Jase and PJ repeated? Why not do the best of all the breakfast programmes? Let Sydney hear samples of Bianca, Terry and Bob?